Scotland’s “political elite” have been urged to get on with a plan to protect people’s jobs. As the first day of debate in Holyrood on another independence referendum came to a close, GMB Scotland said the majority of Scots simply wanted some stability in their working lives. 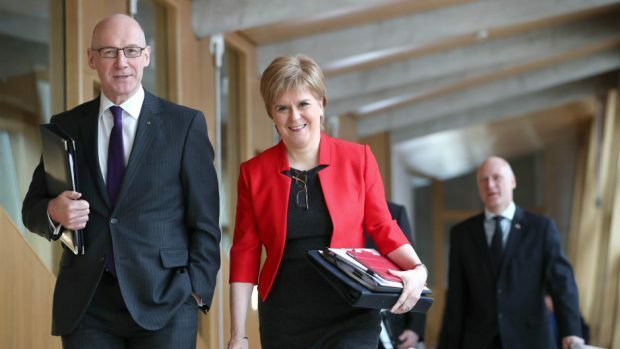 The union’s Scotland secretary Gary Smith said: “It seems Scotland’s political elite are more than happy to have a two-day debate on another referendum but won’t spend ten minutes of their time on finding answers to our country’s growing jobs crisis. The intervention came as Nicola Sturgeon sought Holyrood’s backing to call for the power to put the independence question to the people again. Meanwhile, a petition calling for a second vote to be blocked has now passed more than 200,000 signatures. It argues that another poll “should not be allowed to happen” and says people in Scotland are “fed up of persecution by the SNP leader who is solely intent on getting independence at any cost”. Last year, the first minister suggested wealth was less important for Scotland than self-governance. The petition, which is on the UK Parliament website, will receive an official response from the UK Government and be considered for debate at Westminster.